You'll want to have plenty of fog juice on hand so be sure and stock up on an extra liter or two. 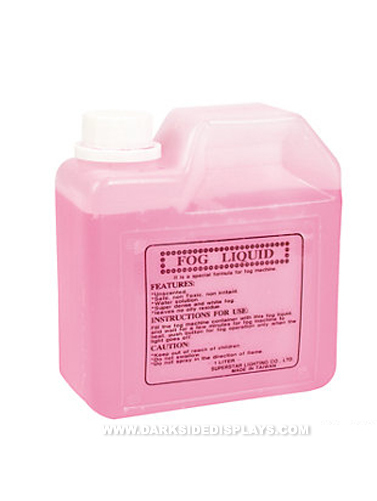 Don't let the pink color fool you, this safe, non-toxic fog liquid creates a dense white fog. Unscented, water solution, leaves no oily residue. 1 liter. Item may be shipped separately as it must be shipped via ground carrier service.